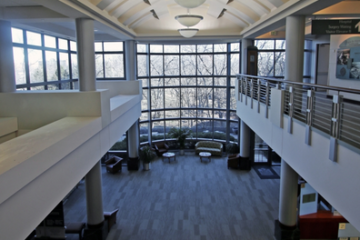 Menorah Medical Center is a full-service acute care hospital located in Overland Park, Kansas. 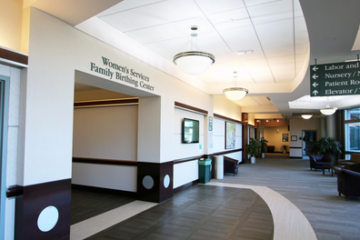 The Family Birthing Center at Menorah Medical Center offers a nurturing and relaxing environment. The client wanted to reflect that philosophy through the aesthetic appearance of the labor and delivery unit. Their goal was to renovate the public corridors and nurse stations to provide an inviting introduction and a comfortable stay at the center. 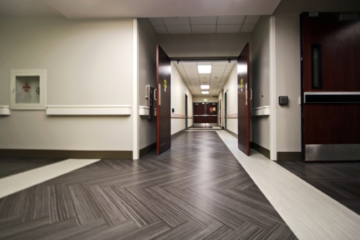 The Family Birthing Center needed a renovation to not only update the appearance of the public corridors, but to change to flooring materials that are easier to clean and disinfect. The expert team of designers and installers at INSTALL Warranty Contractor Image Flooring LLC created a timeless design that achieved the center’s multiple needs while working around several installation challenges. Carpet and wood base were being removed and replaced by hard surface materials to modernize the space. 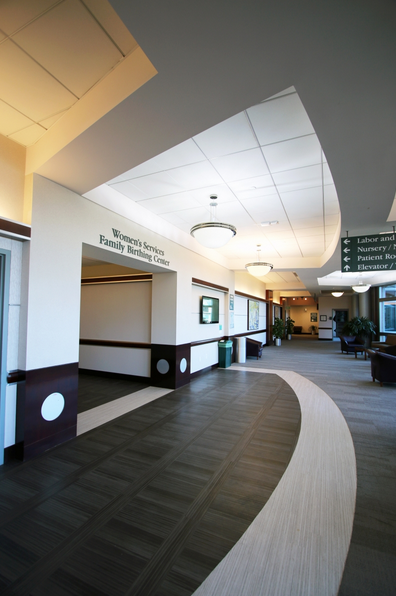 Additionally, the majority of the renovation was limited to the corridors and nurse station, so careful thought had to be put into how the new finishes would transition to the existing floor finishes in the patient rooms that were to remain. Few other finish changes were being made, so the floor became the focal point to provide pattern and warmth in the space. A warm gray linear patterned luxury vinyl tile in several sizes was selected as the field color and a light colored plank was chosen to create breaks in the pattern and act as wayfinding by indicating entrances to patient rooms. The wood base was replaced with a rubber millwork base for an upgraded look with durability. The colors and patterns chosen were neutral so they worked alongside finishes to remain, but they complement the color palette that Menorah Medical Center has chosen for future renovations. All of this work was completed in occupied spaces with public, patient and employee access maintained at all times. Careful consideration was required to develop the phasing plan and limit exposure to airborne particulates through dust containment and negative air machines. 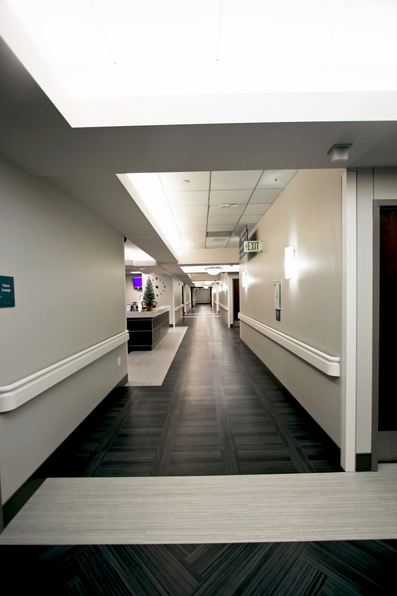 The Menorah Medical Center installation stands out for two reasons – complex, on-the-fly flooring installation and a phased timeline executed flawlessly in a fully functional acute care center. The herringbone pattern found throughout the space required precise installation and quick patterns. This was a challenge for the installation team, as the work was done in sections. Only one half of a corridor could be shut at a time, since the medical center was open throughout the renovation. Even though the bulk of the project was completed during down times and after hours, this still presented unique scheduling challenges. Additionally, the installation around the nurse’s stations was particularly challenging as the team was tasked with creating custom shapes around a working hospital. Although the finished product looks seamless and brings new life to the wing, the rolled sheet goods had to be heat-welded in sections. While it’s difficult to start a curve or organic shape, stop halfway through, and then finish at a later day or time, the team made it work. This process adds a number of additional seams to the work, but in the end it allows the end-user to continue working uninterrupted. Patient rooms presented another challenge to the installation team. Three to four rooms were temporarily closed at a time, completely transformed, and then reopened when the job was done. While this allowed the installers to work in phases that minimized interruptions, it presented infectious disease and debris control problems. Since adjacent rooms, nurses and corridors remained open, the team used plastic zip walls that helped contain as much dust and debris as possible. 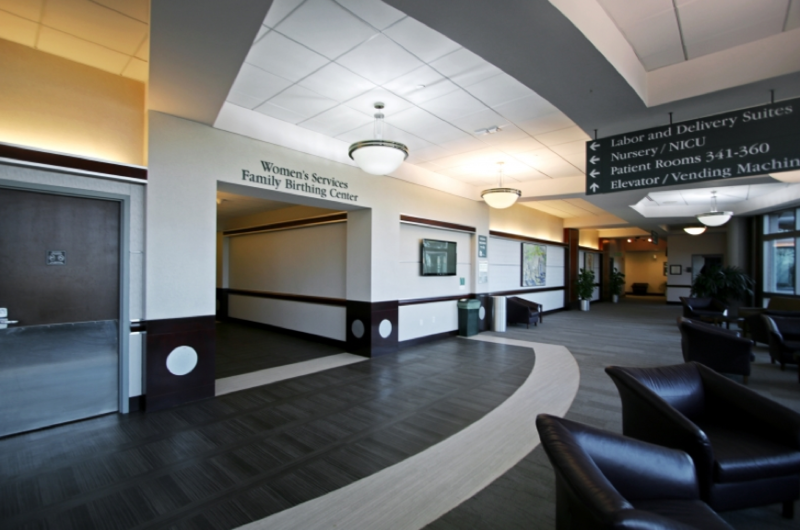 Menorah Medical Center is another success story for Image Flooring. 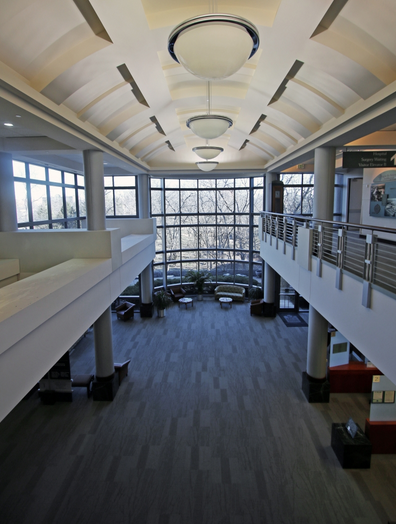 It has provided a new look for the facility with modern, high-performance floorcoverings. Timelines and schedules were adhered to, and the challenging installation was completed without issue. The nurses and new mothers were as thrilled as the hospital administration and facility management team. 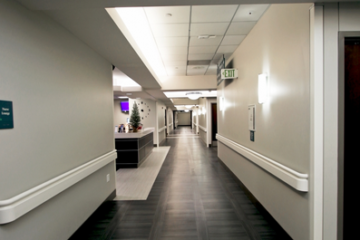 The project is only one aspect of Image Flooring’s involvement with the medical center. 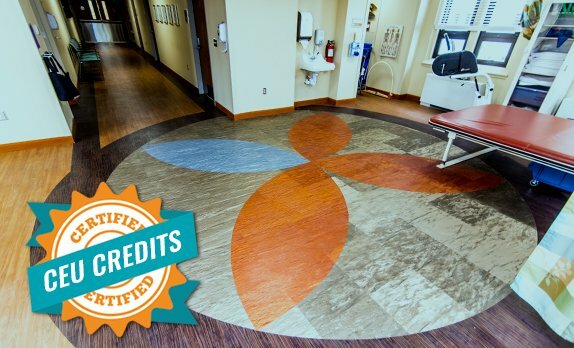 They have completed additional projects throughout the hospital that coordinate nurses stations with flooring, and help to create cohesive branding. The company also worked with the hospital to replace outdated and worn 6-foot roll carpet with new carpet tile throughout common spaces and in the medical offices/administration building. They look forward to continue building relationship through quality installation, unrivaled warrant coverage and professional, highly trained installers.